The walking track above the basketball courts at the new Oxford Activity Center is now open to the public. Area residents now have a safe, indoor area to get some exercise or shoot a few hoops. 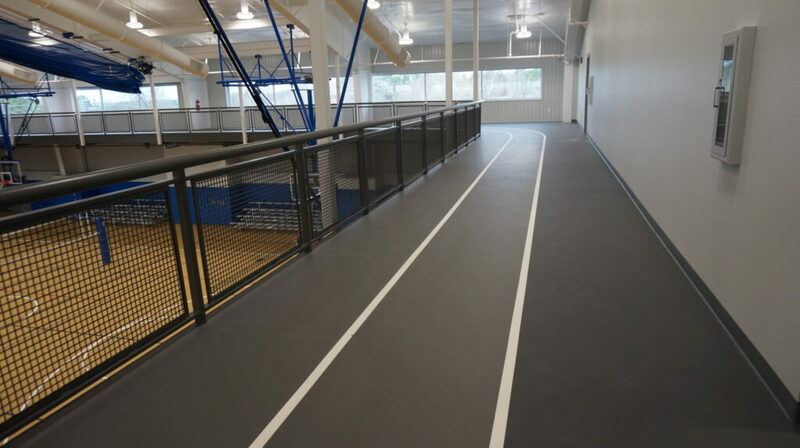 On Tuesday, the walking track inside the new Oxford Activity Center opened to the public and is accessible from 11 a.m. to 8 p.m. Monday-Friday. 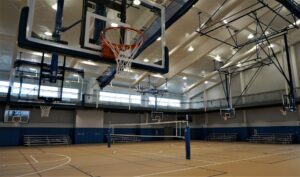 The walking track overlooks the center’s basketball courts that will open for Free Play starting on Thursday at 2 p.m.
Free Play basketball hours will be from 2 to 8 p.m. Thursdays; 2 to 6 p.m. Fridays; 10 a.m. to 4 p.m. Saturdays; and 1 to 5 p.m. on Sundays. All classes that have been hosted in the old activity center will remain there through their duration. Those involved in pickleball during the week will move to the new gym in March. The new Activity Center has a total of 33,000-square feet of space and is expected to be fully operational by April 1. For more information, visit www.oxfordparkcommission.com.